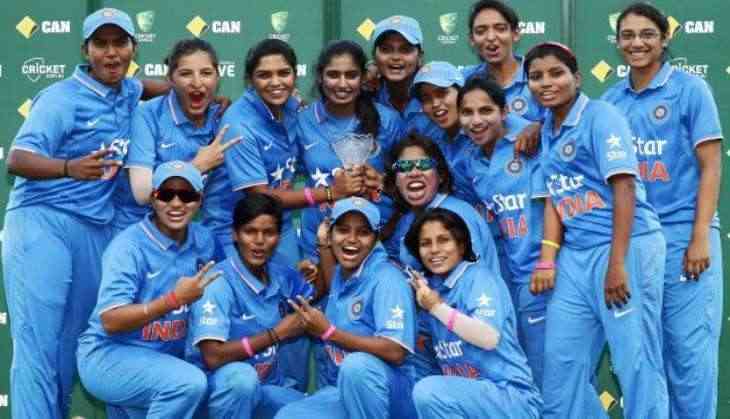 The ICC Women's Cricket announced on Monday that the Indian women's team will be touring Sri Lanka. The announcement was made on Monday and the tour will take place from September 11 to the 16th. With Betway sports betting, you could bet on the Indian women’s cricket team anytime you like. Every time you make the right prediction, you would win big. It all happens through the app, so you don’t even have to head out anywhere. The Indian Men team recently toured England and didn’t fare that great. The team lost 4-1 to the hosts in the Test series. The women team might want to change things around for the country, as they go to battle their neighbours. The last time the women's Indian team was in Sri Lanka it was fighting for the top four spots in the ICC World Qualifiers. This was early last year and Purnima Rau was the head coach. Currently, the head coach of the Indian Women's team is Ramesh Powar. He took over from Tushar Arothe who resigned in June. India has placed the sixth position with four points from six matches. It is in the bottom half of the table with other teams such as Sri Lanka, West Indies and South Africa. The leaders in the table are New Zealand, Australia, England and Pakistan. All of these teams are looking for a qualifying spot for the ICC Women's World Cup in 2021. This will be the first assignment for head coach Powar since he took over. His next tour will be to the West Indies to the Carribean and the ICC Women's World T20, 2018. Powar is a former cricketer with vast experience. He has featured in 2 tests and 31 One Day International's for India. However, he does not have any coaching experience this will be his first coaching job. He finished his level 3 coaching in Australia. The tour to Sri Lanka will help the Indian Eves bounce back. India had a stunning streak during the 2017 World Cup final. Their hopes have gotten bigger as they tackle bigger platforms. During the T201 Asia Cup final, they failed to beat the Bangladesh team. Moreover, they lacked support from the media from their own country. The Indian team is the favourite to win the three ODIs this year. However, their biggest competition in Sri Lanka which was in the World Cup last year and the Asia Cup this year. In 2014, Sri Lanka beat them in the World T20. The 17-year experience of Powar first world-class cricket experience will be the needed boost. Moreover with Smriti Mandhana who has a tally of 421 runs they might lift the trophy. All the eight teams are looking to take home all the three ODIs. After that, all the focus will be on the Women World T20 event.